Here are two gorgeous members of the Rosaceae found in Iceland. Most plants that have similar abilities do so to reduce the amount of solar radiation striking their flowers or leaves. 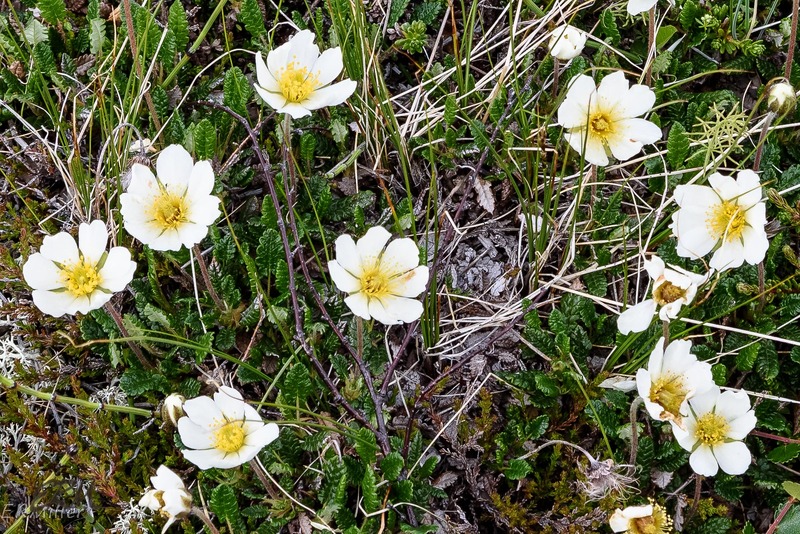 In Dryas, the flowers do the opposite, moving to maximize the amount of sunlight reflecting off the petals and onto the mass of pistils at the center of the flower. 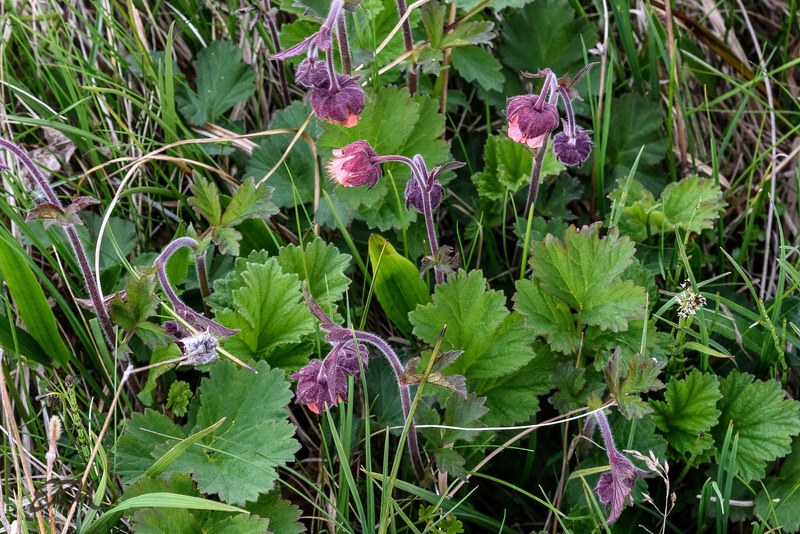 Water avens is another circumpolar species, though it ranges much farther south than mountain avens. In North America it’s found in Greenland, Canada, and in the US, in New England, the upper Midwest, and as far south as New Mexico along the Rocky Mountains. BONAP shows it growing along a spine of the Appalachians in West Virginia. USDA Plants shows it present in Maryland but without county data, and it’s listed in Maryland Biodiversity Project but has no records. I’d guess there’s a small chance it could be found in the western parts of the state, since it’s been recorded on either side of Garret County in Pennsylvania and West Virginia. 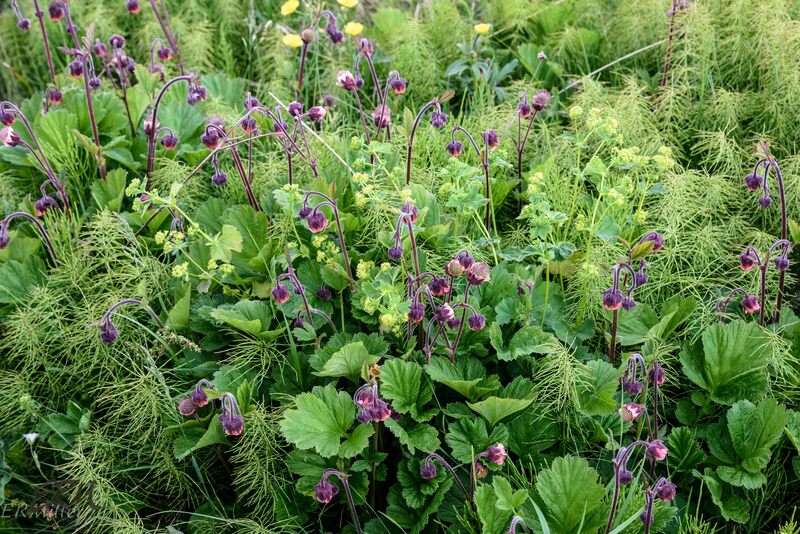 In Iceland it’s found in the coastal areas and somewhat inland, but not in the south. It’s hard to describe how eye-catching these flowers are, with the red-purple sepals and salmon-pink petals and all those stamens poking out. I hope these pictures do it justice. There are over 250 species of Geum worldwide, about 20 in the US, and about six in the state of Maryland, one of which, Geum canadense, is blooming now. 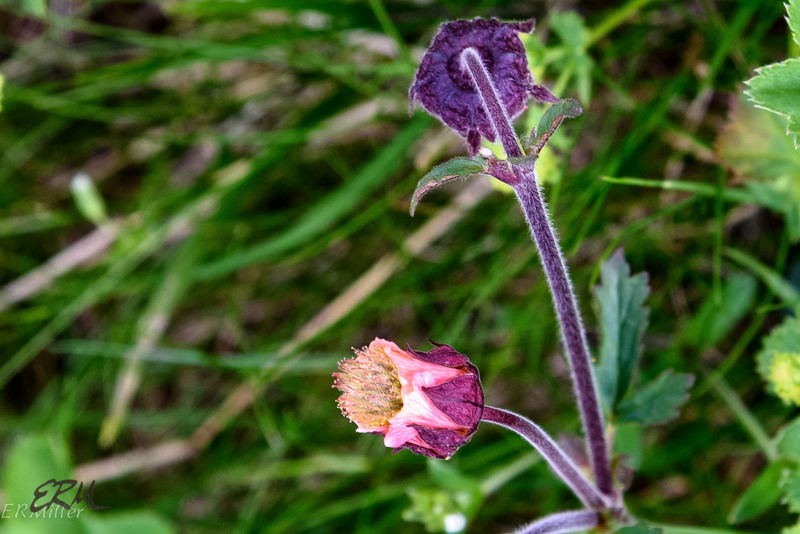 This entry was posted in Uncategorized and tagged Akureyri, avens, Dryas, Geum, Iceland, Rosaceae by elizabeth. Bookmark the permalink.